Massachusetts has some of the oldest natural gas infrastructure in the country. That means a lot of leaks — more than 17,500 by one estimate — costing over $11 million in lost gas each year. 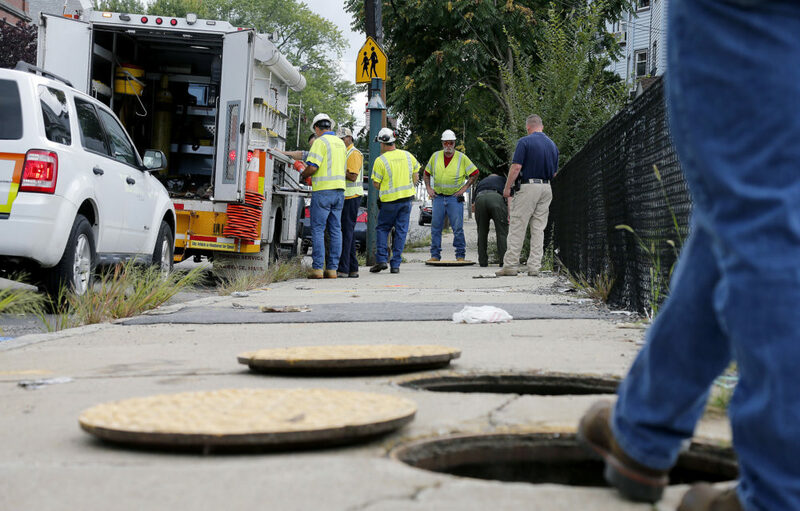 Just 7 percent of the leaks in Greater Boston emit half of the escaping gas. Most of these "super-leakers" — known officially as "Grade 3 leaks of significant environmental impact" — aren't an explosion hazard, so until now utilities have had no obligation to fix them. But the gas they leak kills trees and emits methane, a potent greenhouse gas. A new state regulation that requires utilities to identify these super leaks — and repair them within two years — may cut emissions from the pipes in half, according to a report released on Monday by the Cambridge nonprofit HEET (Home Energy Efficiency Team), a clean energy watchdog group. The regulation — the first of its kind in the country — is set to be rolled out at the beginning of the work season in mid-April. "It's a huge step," says Audrey Schulman, executive director of HEET, who says that the new regulation came about through rare collaboration between activists, utilities and scientists. "We hope this can be a model for the country." The environmental consequences of large Grade 3 leaks gained public attention a few years ago, as scientists and activists began to document, and draw attention to, the leaks' size, scale and effects. Since the natural gas piped to homes and businesses is more than 90 percent methane — an extremely potent greenhouse gas — the leaks have an outsize impact on climate change. The HEET report estimates that the leaked methane is equivalent to 4 percent of the state's carbon dioxide emissions, or "the emissions of all the state's stores and businesses combined in 2016." "The significance of the emissions shocked a lot of people," says Zeyneb Magavi, research director at HEET. "And it seems like such a solvable problem. We could cut emissions, save money, and do something positive for everyone just by getting these addressed." In 2016 Massachusetts passed a law saying that utilities must repair Grade 3 leaks of "significant environmental impact," but then action stalled; there was no easy way to identify which leaks fit this criteria. 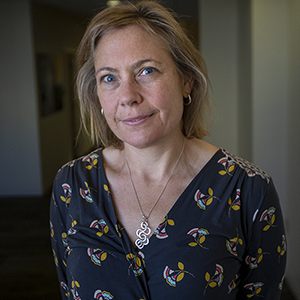 "So that's when we started to partner with the gas companies in a research project to test different measures of finding out which leaks are actually the biggest," says Debbie New, the coordinator of Gas Leaks Allies, a Massachusetts coalition of more than 20 organizations and scientists working to cut methane emissions. New admits that the successful collaboration with the natural gas companies was "surprising" for organizations better known as gas-industry gadflies. "We were amazed at the whole process ourselves," she says. "It wasn't always easy, but we had a shared purpose that we were able to stick to." Eversource spokeswoman Caroline Pretyman concurred, noting that the company "was pleased to be a part of the collaborative effort." "In this case they did a good one. They took action and they did it well," says HEET's Schulman, referring to the gas companies. "And for me to say that is so ironic." Over the course of 2017 HEET worked with Columbia Gas, Eversource, National Grid and other stakeholders to test five different ways of detecting Grade 3 leaks of significant environmental impact. (Smaller utility companies were not involved in the field trials.) They settled on the low-tech "leak extent method" — determining the perimeter of a patch of methane-saturated land with a tape measure — as the cheapest and most effective technique. They also decided that any land measuring 2,000 square feet or larger counted as "significant." The three gas companies and HEET jointly submitted a five-year Shared Action Plan to the Department of Public Utilities, which issued the regulation in March. One problem emerged during the field trials: Only 30 percent of the repairs worked well enough to leave no detectable gas at the site. The HEET report notes that the data set is too small to be conclusive, but calls the low rate a "concerning trend." The regulation means that gas companies can now pass on the costs of identifying and repairing leaks to ratepayers. While this may rankle customers who would rather not pay to repair leaks that aren't at risk of explosion, Schulman points out that they are already being charged for leaked gas. She adds that an economic analysis prepared for the HEET report concluded that the repair of one of these large leaks will pay for itself in 14 months. The regulation also requires that gas companies file information on new leaks, existing leaks and leak repairs each quarter and in their annual reports. "We'll be double-checking to make sure that the gas companies do everything they're supposed to do," says Schulman. "What we hope will happen is that there will be a standard practice that comes from this that can be moved out nationally, to reduce emissions with the least cost and the least disruption."